Heel spurs are new bone that forms in response to stress to the heel. 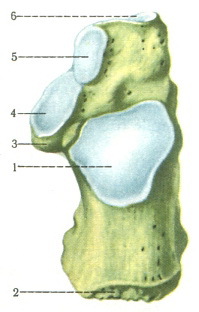 They serve to protect the bone against the development of microfractures. Spurs start out as cartilage and progress to solid bone. They are present in about 50 percent of the population, yet not everyone has heel pain- that’s the first clue that heel spurs don’t always cause heel pain. Heel spurs under the sole of the foot (plantar area) are associated with inflammation of the plantar fascia (fasciitis), the “bowstring-like” tissue stretching underneath the sole that attaches at the heel. Plantar heel spurs cause localized tenderness and pain made worse when stepping down on the heel. Heel spurs and plantar fasciitis can occur alone or be related to underlying diseases that cause arthritis (inflammation of the joints), such as reactive arthritis (formerly called Reiter’s disease), ankylosing spondylitis, and diffuse idiopathic skeletal hyperostosis. It is important to note that heel spurs may cause no symptoms at all and may be incidentally discovered during X-ray exams taken for other purposes. Ice and use arch support . If you can localize the spur, cut a hole in a pad of felt and lay the hole over the spur. This supports the area around the spur and reduces pressure on it. Massage the spur. Start gently with your thumb and gradually increase the pressure until you?re pushing hard directly on the spur with your knuckle or another firm object. Even it if hurts, it should help. Arch support. Build up an arch support system in your shoes. Try to equalize the pressure of your body weight throughout your arch and away from the plantar area. Use a ?cobra pad? or other device that supports the arch but releases pressure on the painful area. If homemade supports do not work, see a podiatrist about custom orthotics.